A perennial plant that belongs to figwort family and grows up to 5 feet tall is called Black root. In scientific words it is called Veronica-strum Virginicum. Back in 18th century, a physician named as Doctor Culver stated that this herbal plant can be used as a medicine and it is beneficial for treating many diseases. People now a days, know black root as “Culver’s Root”. Culvers root benefits are in abundance. The plant grows from North America to Eastern America, Manitoba to Ontario, and Texas to Alabama. The plant grows in wet to moist places and usually occurs along river sides, marshes, prairies, open woodlands and meadows. Rootstock of culver’s plant is used as herbal medicine. These roots are usually dug-up in autumn and dried for future use in powder, liquid extract, decoction, tinctures and tablets. Culver’s root is so high in potency so that it must be stored in dried form for at least in year before using to reduce strong potency. 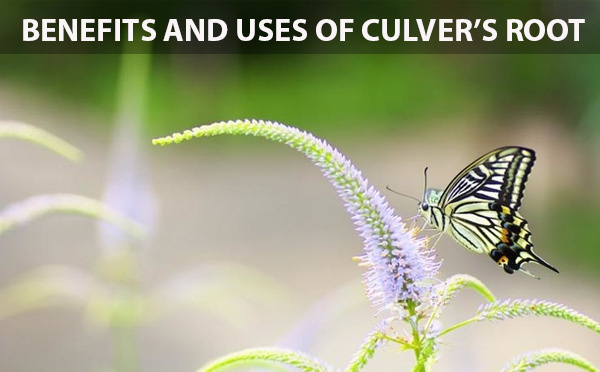 Herbal practitioners recommend to take small amount of Culver’s root in the form of purgative and as a medicine to treat number of diseases like liver and gallbladder problems, flatulence and bloating, and discomfort cause by rectal prolapse and also haemorrhoids. Sometimes it is also used to treat skin problems caused by liver problems. The fresh black root is brutally purgative and even emetic. But dehydrated or dried one is less violent and milder. Leptandrin is a tincture, which is prepared with Culver’s root. It boosts bile secretion with no purging or bowel irritation and stimulates the liver a little. It also serves as a medicine to treat diarrhoea, upset stomach, torpidity of the liver, persistent dysentery and a deadly gastro diseases occurs in infants known as cholera infantum. Culver’s root is a beneficial natural remedy to treat anxiety, malaise, and the pain that causes due to chubbiness, swelling or pressure around the liver. Treats loss of appetite and exhausted functioning of the liver and severe dysfunction of liver. It treats gastro in different body organs, extremities and cold skin problems. 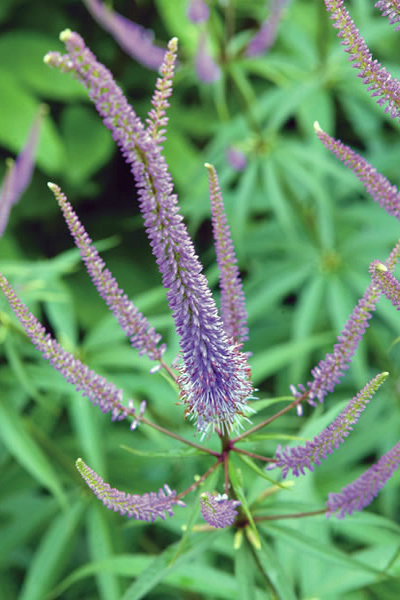 Culver’s root is highly beneficial for light head and dull headaches. It is one of the best remedy to treat anxiety and mental disorders like severe depressions. Dried Culver’s root treats constipation and regulates bowel movements. One of the biggest function and best remedy to treat liver problems is to use mild and dried Culver’s root and this remedy is being used since 18th century. Sporadic fevers can be effectively cured with the decoction prepared by dehydrated version of black root. Dried Culver’s root can be successfully used to cure leprosy and common illness like thinness, unceasing infections occurs with cancer and edema. The description regarding the uses of Culver’s root vary because of it’s being so much violent in nature and discrepancy in the action of the root in its dehydrated/dried or fresh forms. It is stated that excess use of herbal medicine prepared by fresh black root may cause bloody stools and is extremely dangerous for pregnant women because it can cause forceful abortion. Culver’s root dosage depends upon patient’s health, age, and other present conditions. There is no specific or scientific information present regarding the ranges of the dose. One thing must not forget is natural or herbal products are not necessarily safe and dosages are always very important. Because they are not always beneficial for the patient as they can react with certain other medicines. Make sure you follow your pharmacist’s advice and recommendations before using any herbal medicine like black root.